Rugby in the Carpark Clean-up Success! 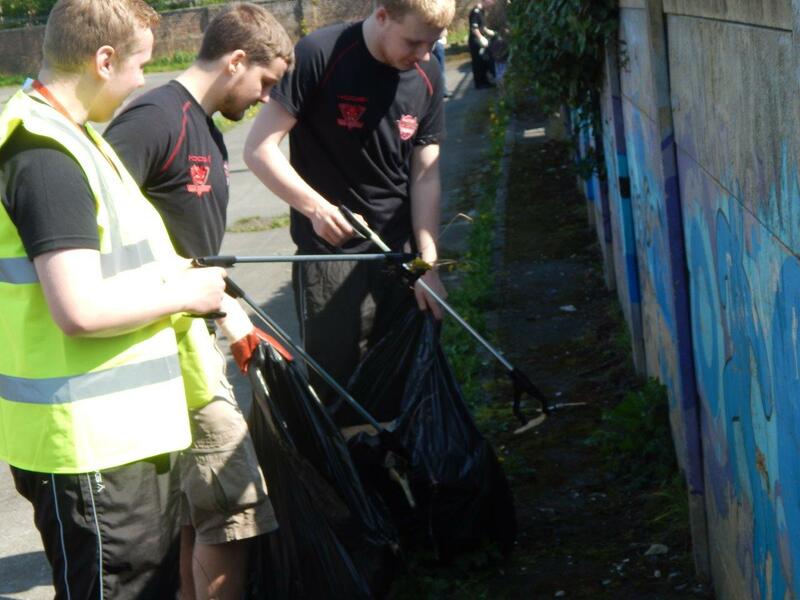 Greater Manchester Police officers, Salford City Council and Salford Red Devils players have come together for a much-needed tidy up. The Willows – Salford Red Devils former rugby league ground – has been a constant cause for complaint from local residents. The large car park on Kennedy Road, Weaste had become a site for fly-tipping and anti-social behaviour in the community. Help finally arrived for the residents on Tuesday 15th April, as everyone came together to gather over 40 bags of rubbish. The Rugby in the Car Park events are part of the incredibly successful Lloyds TSB Foundation funded project, Tackle Exclusion. 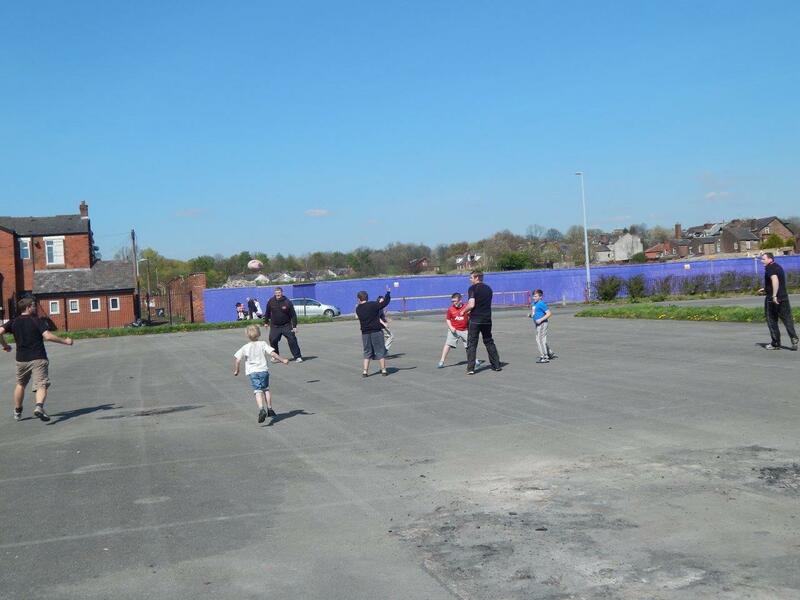 Tackle Exclusion was born after the social unease from the 2011 Salford riots and has seen the Foundation working closely with partners such as the Greater Manchester Police, Salford City Council, Salix Homes and more to get involved with the community and promote positivity locally. The project is part of a two-year programme which began in December 2012. Tackle Exclusion aims to engage and involve disenfranchised young people in the Central Salford area via sport and wellbeing. Continuing their involvement with Lloyds TSB Foundation funded Tackle Exclusion, SRD Foundation are continuing to achieve their goals with young people in the community by offering FREE rugby coaching sessions. These sessions will continue for between 4-6 weeks from Thursday 17th April, with participants being directed towards local amateur rugby teams. Events are held at the car park from 6pm-8pm. For more information contact the Salford East Neighbourhood Team on 0161 856 5127 or visit their Facebook page at: GMP Salford East. Have a look at Salford Online's article and accompanying video from the day to see more. For more information on Tackle Exclusion, please contact Salford Red Devils Foundation via Twitter or Facebook.